You didn’t realize motorsports could be so gorgeous. All it takes is a drive over to rural Oregon with a view of Mount Hood, then put in a 2015 Subaru STI Rally America car going flat out and you’re totally set. 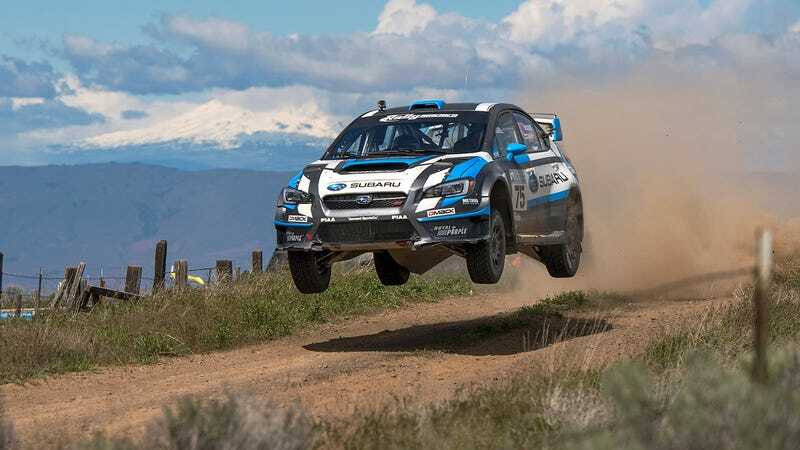 These shots are from Subaru and their American rally arm Vermont SportsCar. Many thanks to Chris Yandell over there for sending them my way. “They’re blowing my mind,” he said in the email. This was all at the recent Oregon Trail Rally (the shots out on the plains are from the second day of the event, the forest ones are from the third). David Higgins and Craig Drew won overall. Have you ever seen a car race looks so beautiful?